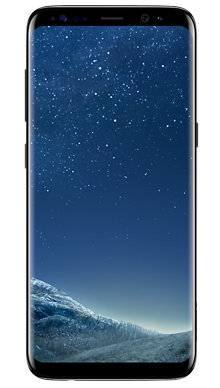 The seamless design of the Samsung S8 with its sleek curves and minimalist features, as well as impressive infinity screen, made it one of the most celebrated new smartphones on the market upon its release. 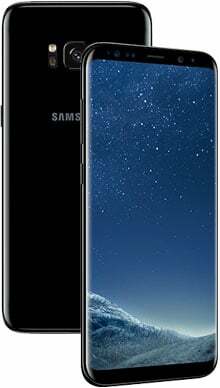 Select your desired options to find the best Samsung Galaxy S8 deals for you. When you talk about the leading smartphone giants of the world there’s not many that would forget about Samsung. The brand has been on the mobile scene since the beginning and has evolved into many a smartphone user’s go-to brand when it comes to purchasing or upgrading to a new handset. Samsung has repeatedly released handsets that have astounded critics and fans alike, earning them a loyal following across the globe. It is for this reason that every time a new flagship handset is announced, the mobile phone industry lights up with sparks of excitement around what the brand will do next. The Samsung S7 and S7 Edge were revolutionary in securing Samsungs place as a true smartphone leader, and so consequently the S8 and S8+ turned out to be one of the most eagerly anticipated smartphone releases of recent years. Even though it has now been surpassed by the Galaxy Note 8 and the S9 models, the S8 is still very much in demand, and it's not hard to see why. 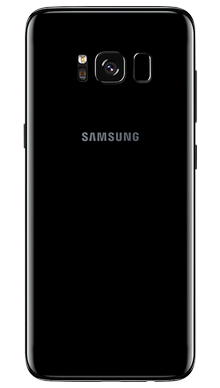 The seamless design of the Samsung S8, with its sleek curves and minimalist features, made it one of the most celebrated new smartphones on the market upon its release. The infinity screen gives the phone a super sophisticated image, and as such critics praised the S8 as being one of the most beautifully designed smartphones to date, and for this reason, you’ll always recognise elements of the signature S8 design in subsequent Samsung releases. Both the front and back of the S8 are reinforced with Gorilla Glass 5, meaning that you don’t need to be too precious with this handset. We say that extremely cautiously because the majority of us have all experienced that heartbreak when you drop your phone and pick it up only to reveal a broken screen or casing, so with that being said we would still recommend investing in protective covers, despite the durable specs. The S8 range comes in a range of colours to suit any Samsung customer. Whether you choose Midnight Black, Arctic Silver, Maple Gold, Coral Blue or Orchid Gray, you can rest assured that you’ll receive a stunning handset. The new 18:5:9 display setup means that the S8 features a much taller screen, but with a distinct lack of bezels or awkward buttons, it only adds to the sleek build of the phone. The display itself is extremely bright and colours come across vibrant and rich. The super HD resolution and AMOLED screen handle contrast really well and as such you’ll be hard-pressed to find fault with the viewing experience. 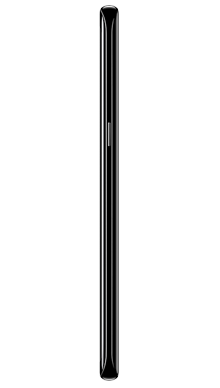 The taller screen has another added benefit in that the S8 is extremely comfortable to use with one hand, despite the fact that it is still larger than other high-end smartphones on the market. Samsung is known for their quality when it comes to sound, and to start with they set high standards by including great quality AKG headphones in the box. Furthermore, the actual sound on the S8 is clear and controlled, and the S8 is hot on the heels of the more recent iPhone handsets when it comes to achieving impressive heights when it comes to their user’s audio experience. To be frank, the camera setup on the S8 isn’t hugely different from the S7 range, but, as with the design, there wasn’t much need for change when the older handsets performed so well. There are a few significant improvements, however, one being the camera delivery in low light thanks to a brighter aperture. Another has to be the multi-frame processing, which conveniently takes three images and combines them to deliver the most optimal result. There’s also the winning combination of optical image stabilisation and dual-pixel autofocus to ensure that each and every shot is as good as the last. With so much going on you might expect to experience some slowing down or delay in the camera app, but you really needn't worry yourself. Every feature works in tandem to deliver a highly impressive camera setup. Another big improvement was with the front-facing camera, which jumped to an 8MP sensor, meaning that selfies on the Galaxy S8 are noticeably better than with older Samsung handsets. Other handy features include the Samsung developed AI, Bixby, who will be on hand as your personal assistant, and the vastly improved iris scanning technology, which we first saw introduced with the Note 7, to enhance security. The Samsung Galaxy S8 runs on Exynos 8895 for a super speedy smartphone experience and users won’t be disappointed; there’s little to no delay in using apps, even when using multiple apps at the same time. Some critics were a little disappointed that the S8 didn’t feature a bigger battery upgrade, but we have found the 3000mAh battery to be more than satisfactory, and if you are in need of a quick power up then you can take advantage of Quick Charge 2.0 and wireless charging. Even though there are now newer Samsung handsets available on the market, the Samsung Galaxy S8 is still a popular choice among smartphone users and we can understand why. The S8 looks stunning and retains all of our favourite features of the S7 Edge with added sophistication and a super sleek finish. The HD AMOLED screen delivers a fantastic viewing experience, and we’re sure that the majority of users will appreciate the high-quality AKG headphones that enhance the audio experience. The camera, which has only been upgraded where absolutely necessary, is arguably one of the best that you’ll get for this price, and we particularly appreciate the jump on the front shooter. An Exynos 8895 processor gives users a fast and responsive smartphone experience, and while the battery isn’t huge, it’s still good, and we love the added luxury of wireless charging and Quick Charge. As one of the UK’s leading independent mobile phone retailers, Fonehouse is proud to bring you some of the very best Samsung deals. We’ve been providing the UK with mobile phones for almost 25 years, so you know that when you come to Fonehouse, you really are dealing with industry experts. We have some of the very best Vodafone Samsung Galaxy S8 deals, Meaning that along with a great value pay monthly contract, you also have access to some fantastic free perks available to go with your new Samsung handset, including entertainment subscriptions to the likes of Spotify, Now TV and Sky Sports. You can even take advantage of our great cashback offers. Or, if you’re looking for an EE pay monthly contract, then we also have some of the best Samsung Galaxy S8 EE pay monthly deals on offer, giving you bags of data and fantastic added benefits! If you’re looking for the Samsung Galaxy S8 SIM-free, then you’ll be pleased to know that its much more affordable than it once was, thanks to the newly released S9 range, and Fonehouse have some of the lowest SIM-free prices. Plus, with our next day delivery service, you could have your Samsung Galaxy S8 the very next day and it won’t cost you a penny. 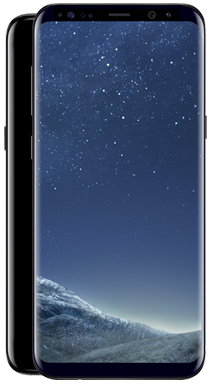 If you can’t find the best Samsung Galaxy S8 deal online or in our stores, or if you’d just like to get some more information on the Samsung Galaxy S8, why not contact us on 0333 900 1133 and our UK based customer service team will be on hand to guide you to the perfect deal for you.